Step into the world of Shadow Falls, a camp that helps teens tap into their special… talents. Once you visit, you’ll never forget it—and you’ll never, ever be the same. Yet romance will have to wait, because something from the dark side of the supernatural world is hiding in Shadow Falls. It’s about to threaten everything she holds dear… and bring her closer to her destiny. I was not disappointed, again C.C. Hunter gave me a book that I could not put down. This was a great follow up to Born At Midnight. Even though I’m not a huge fan of love triangles I am enjoying this one along with the mystery of what is Kylie???? 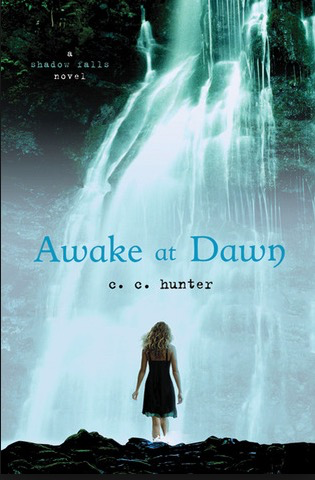 This series is a fast read and I would recommend them to anyone who likes young adult supernatural novels. I give this book 4 out of 5 stars and will continue with the Shadow Falls series. Happy reading y’all!!! ?